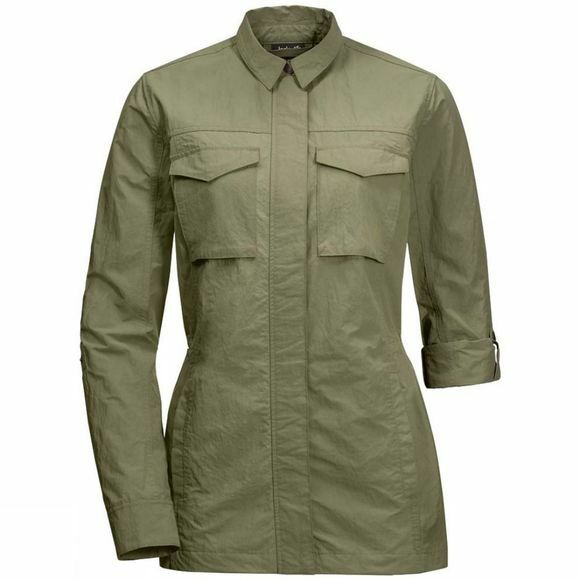 The Womens Lakeside Field Jacket combines the best of both worlds: the style of a shirt and the functionality of a jacket. It also provides insect protection and UV protection. So you can wear it in the city, on your travels or your next safari trip. 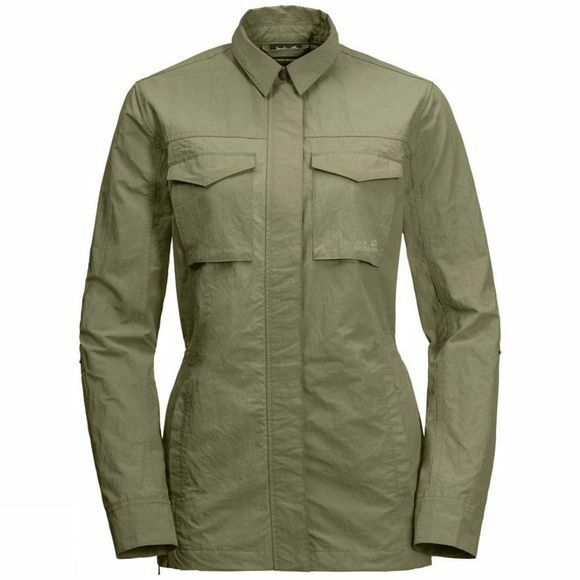 This casual shirt jacket is tailored from our lightweight, breathable Function 65 Anti-Mosquito UV fabric. The fabric has a very tight weave that makes it impossible for insects to bite through. This means there is no need to treat the fabric with insecticides. It also provides factor 40+ UV protection. The sleeves roll up and can be secured in place with a tab. A waist draw cord allows you to style the jacket to give a more figure-hugging look.